You’re chugging along with your daily tasks, but there’s one that’s been looming over you for far too long. You know you need to make the jump; take the plunge and invest in a new forklift that’s long been a priority. But with so many options available on the market and technological advances that have changed up the game, what exactly should you even look out for? 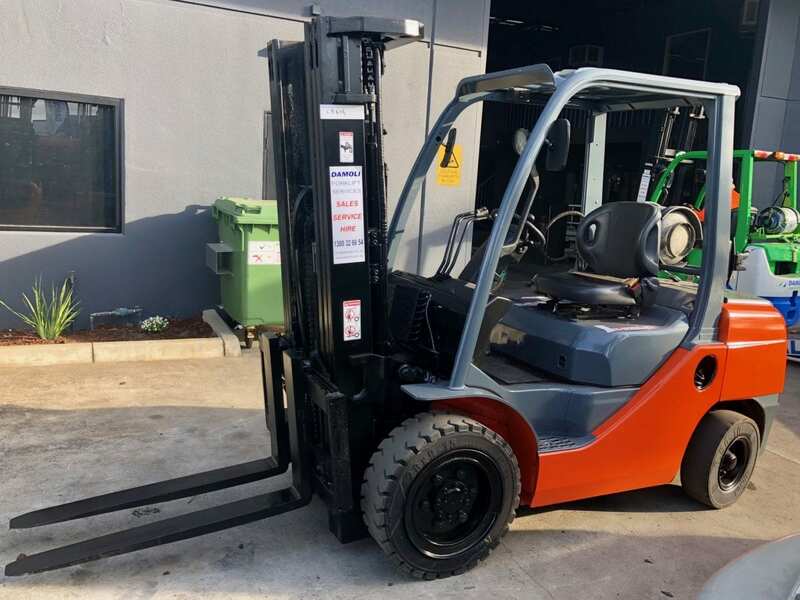 While we can understand that budget is a key deciding factor in any big-ticket investment, opting for a ‘cheap’ forklift could result in a less practical one. Don’t fall into temptation to buy machinery that doesn’t fit your bare minimum requirements. Price is only one aspect you need to consider, with many others outweighing it. You wouldn’t buy a new car before taking it out for a test drive, and same goes for your forklift. Once a model catches your eye, consider renting it out to fully understand if it will fit your needs. This is especially important if you’re sitting on the fence, or you’re not quite sure about the feel of it. If you have other operators in your business who will use the forklift, make sure they have input, too. Check that the measurements of the forklift itself will fit the types of products you’ll need it for. Moreover, make sure it will suit your actual facility. The rule of thumb here is to never assume you know the measurements off by heart. Check, then double check. Do you plan on using the forklift indoors or outdoors? What kind of weather will it be working in? These details will affect what kind of tyres you will require, as some are better on concrete than others. Likewise, others are more suitable grittier surfaces like asphalt, gravel or dirt. There’s no point buying a new forklift if it can’t get to all those high-up places. Make sure the model you decide on can handle both the height and the weight of the load at the same time. It’s critical it can juggle both. If you handle food in your facility, and directly with the forklift, you may need to invest in an electric one that cuts out emissions where possible. Consider how you will be moving around these products otherwise, and what kind of risk you may be running. Just like any other vehicle, forklifts require servicing and upkeep. Keep in mind that the upfront costs aren’t the only ones you’ll be investing in, so make sure you can afford it for its lifetime. Accessories can make it all a little more exciting and flashy, but it’s crucial you keep in mind what you need your forklift to actually do. Don’t overcomplicate its role in your facility. For facilities that require the machinery to unload from trailers, those that are designed to work in tighter spaces are more suitable. Keep close eye on the height of the lowered mast as well. Will you be running your forklift at all hours of the day or just a few? If you’ll be relying on yours heavily, consider investing in a newer model that can support this demand. Not sure where to start? Get in touch with a Damoli team member on 1300 326 654. This entry was posted in Hire. Bookmark the permalink. Use the form below to send us an enquiry and we will get back to you as soon as we can.